Learn about the different APIs available in Google's ML Kit (mobile machine learning SDK). You will also learn how to create an application that uses one of its APIs. 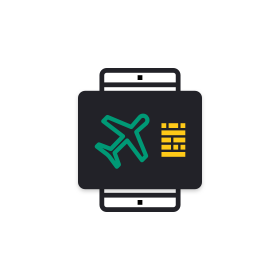 Airline industry cybersecurity - map your customer journey, incorporate passwordless registration, and profile enrichment to create a more enjoyable and secure UX. Key solutions like anomaly detection, universal login, and custom security rules delivered by Auth0 helps its customers protect sensitive user data. Learn how to build a movie watch list demo application using TypeScript, the Aurelia framework, and user authentication with Auth0. Learn how to develop modern mobile apps with Angular, Ionic, RxJS and NgRx. Follow this tutorial to create a mobile audio player app.